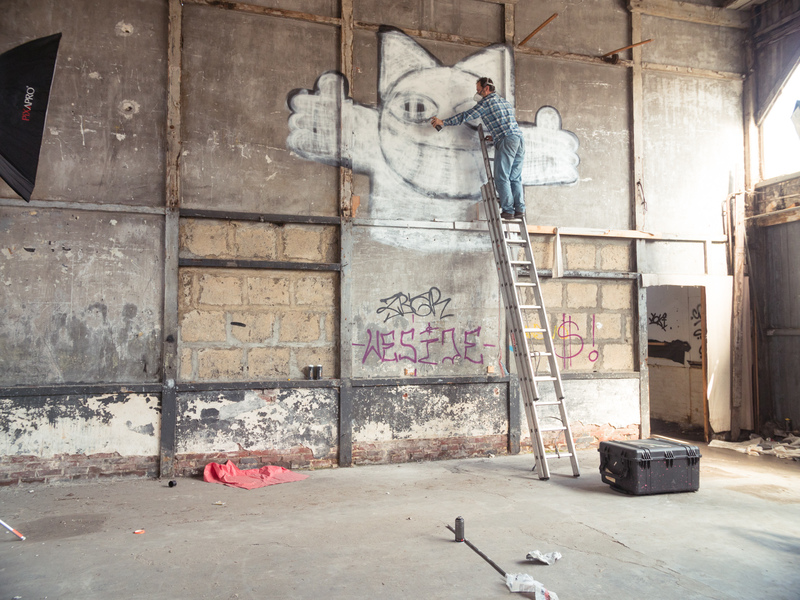 I was lucky enough to spend a day with renowned street artist Monsieur Chat, aka Thoma Vuille. 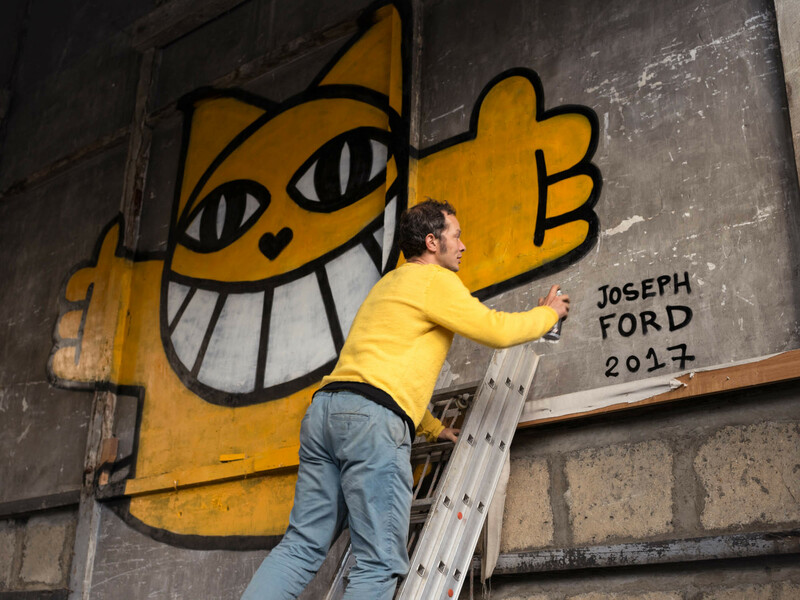 The Swiss-born graffiti artist has been decorating the walls of his city, Paris, for the last 20 years, and his cheeky cat has popped up all around the world. When I moved to Paris as a student I spotted one of the friendly felines painted on the wall of a building opposite the Pompidou Centre and I've been keeping an eye out for them ever since. It was a great pleasure to be able to collaborate with Thoma and knitting supremo Nina Dodd on this project. 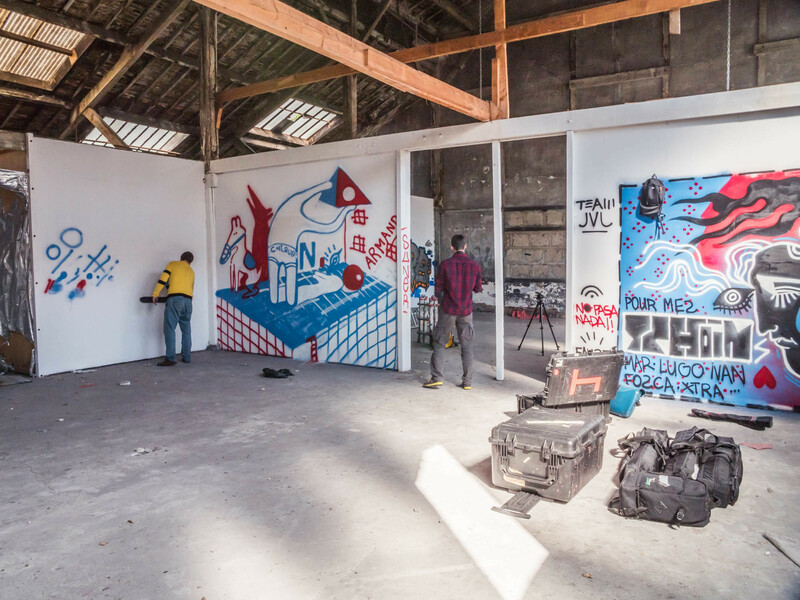 We shot near Thoma's studio in Saint Ouen on the outskirts of Paris, in an abandoned factory, where he balanced perilously at the top of a ladder to paint us our very own M Chat on the wall of a dilapidated hangar. We had planned in advance how he would blend into the artwork and Nina had knitted a jumper designed so he would be able to stand in front of the cat's outstretched paw. The challenge was to paint at the right scale so the sweater (and Thoma) would fit perfectly. See the rest of the knitting series here. Ses chats sourient aux parisiens depuis vingt ans et je me souviens du premier que j'ai vu, rue du Renard, la semaine que je me suis installé à Paris pendant mes études. 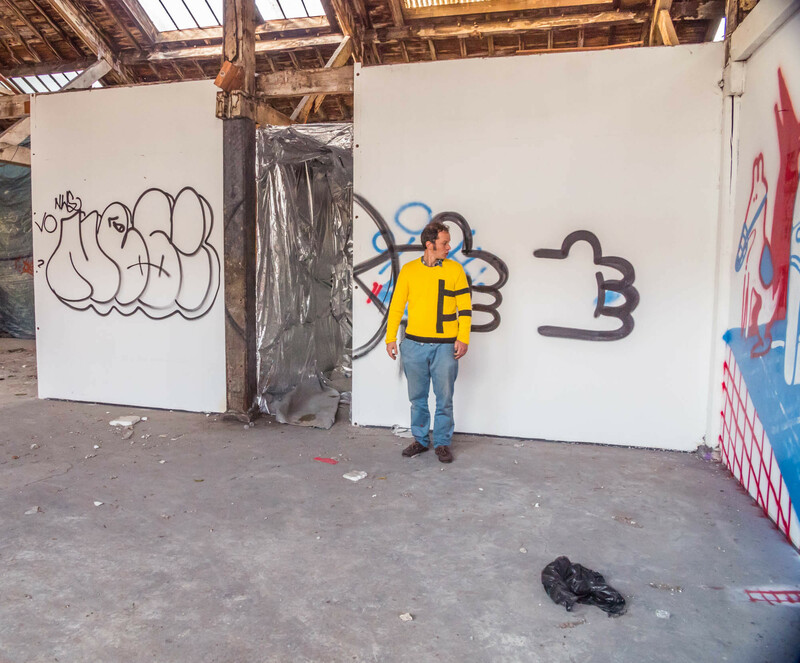 J'ai eu la chance de passer la journée avec l'artiste M. Chat (Thoma Vuille) pour créer un projet collaboratif. 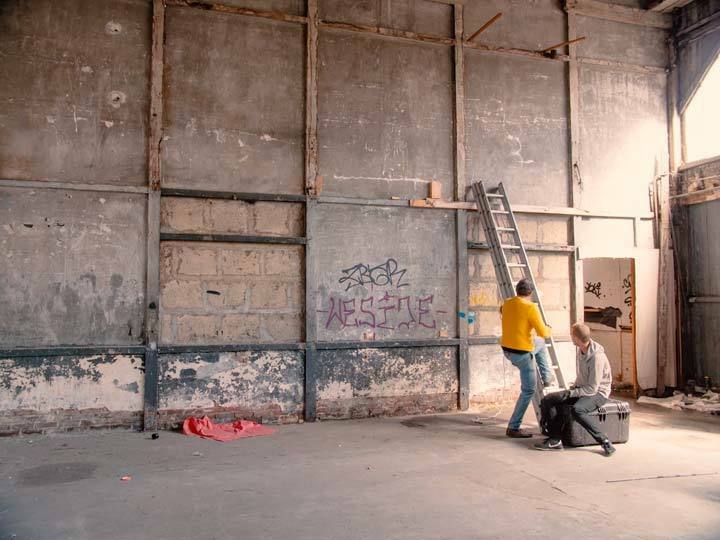 Nous nous sommes installés dans une usine abandonnée à Saint Ouen dans la banlieue parisienne. Perché en haut d'une échelle, Thoma a peint un de ses fameux chats.